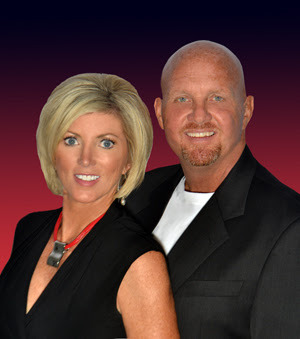 Kelli & Scott Nold, have been working in the Construction, Mortgage, and Real Estate industries for more than 30 years. Scott Nold entered the construction field in 1982, beautifully renovating a historical early 1900’s commercial building. Kelli joined the team in 1990 to run the office, and in 1998 Kelli entered the Real Estate Industry earning the “Rookie Of the Year” award due to her outstanding sales performance, the first of many continued awards and accomplishments earned. In 1998 Scott sold his contracting business and entered the Mortgage industry where he excelled for over a decade. Today, Kelli & Scott are licensed Real Estate agents and the Managing Members of The Nold Group, earning numerous awards for productivity including multiple years as #1 Listing Team at Keller Williams Realty Select. Together, the Nold's are reliable and highly accomplished sales professionals with extensive qualifications in training and development, the homebuilding industry, market strategy, competitive analysis, and customer service. The Nold Group’s expert negotiating skills, thorough understanding of current market values, proactive marketing techniques, attention to detail, and problem solving skills are qualities you need working for you. Kelli and Scott set demanding and achievable objectives for themselves as well as co-workers, providing continuous, constructive feedback as well as setting an inspiring example through a determined drive for excellence. Kelli & Scott are knowledgeable, resourceful producers with a strong desire to excel and achieve goals. Whether buying or selling…a luxurious waterfront estate, an investment property, or your families first home, The Nold Group is confident their combination of experiences and education, not to mention successfully completing well over one thousand Real Estate transactions have prepared them to make an immediate and valuable contribution to your needs.